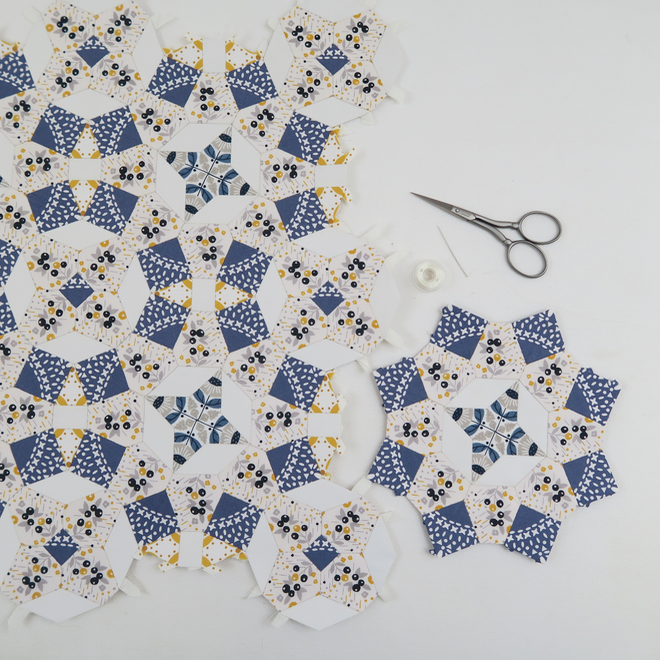 The Eight Dials English Paper Piecing Pattern is suitable for beginners and old-hands alike. It comes with full instructions, colouring sheet and printable paper pieces. I hope you enjoy sewing this pattern.